The essay below is by Lama Surya Das. Since time immemorial, spiritual truths have been woven into stories, whether as folktale, fable, legend, parable, historical anecdote or yarn. With wit and candor, insight and delight, picturesque tales which captivate the imagination have brought a bountiful harvest to countless generations young and old. The piquant cornucopia of tales which follows draws on stories still being told today by the living lamas of Tibet in the course of their spiritual teachings. Transmitted through the ancient oral tradition of Tibetan Buddhism, an inexhaustible repository of sacred lore as well as Buddhist law, most have never before been committed to writing. Some of these tales date from the time of the historical Buddha himself, twenty five hundred years ago; others retell interesting incidents from more recent times. All these tantalizing stories share one thing in common: they are teaching tales, meant to edify, instruct and admonish -- and entertain. They are for scholars and sages as well as nomads, shepherds and farmers. As charming as fairy tales yet as pointed as Biblical parables, this unpublished oral material is replete with Himalayan folklore, magic, ribaldry and the exotic marvels of Oriental culture, while full of uncommon spiritual wisdom and common sense. Recorded, translated, gathered and retold in the same generous spirit in which they have traditionally been received -- as spoken instructions from teacher to student, at the feet of contemporary Tibetan masters -- these small gifts of love are like ferries to that far shore of genuine inner experience, truth itself. Tales are clues. Truth is the universal panacea -- as fabulous as the Philosopher's Stone. It must be touched and experienced, not merely heard. As everyone knows, truth is often stranger than fiction, and more entertaining. It was a legitimate function of the venerable Tibetan lama to overawe ordinary phenomena through magical means, thus tarnsforming his listeners' vision. These fantabulous tales, imbued with spiritual significance, evoke an atmosphere of the peace, carefree ease, and whimsy which bespeak the freedom and transcendence of the high Himalayas. They record lessons learned and blessings earned, deeds done and realizations won, as well as things which could, and should, have happened. Intent on restoring faith in the the fact that authentic enlightenment, spiritual transformation, visionary experiences, and miracles of all kinds can, and do, still happen, the inspired Tibetan story-teller unfolds a luminous vision of a living spiritual universe where basic goodness, universal responsibility, inner fulfillment, love and harmony, humor and hope, perfection, freedom and redemption, greatness of heart and spiritual illumination still prevail. An enchanted world is revealed, not only in remote Tibet, but in the presence of the extraordinary within the ordinary routines of daily existence--right here and now. Life is full of contradictions. These tales are not merely descriptions of how certain events unfolded, but of how things should, and can, be. Full of illusions and insights, the magical and the mysterious, with profound echoes of timeless questions, eternal verities and mythic archetypes; here are models of humane behavior which lend value, meaning and significance to life, while irreverently exposing that spectacle which is human nature. Such teaching tales are calculated to inculcate specific values, unveil preconceived notions and underlying assumptions, and cut through self-deception. They provoke a wry smile, helping us laugh at ourselves and fly free of the so-called burdens of being; and they inspire particular states of mind. Here are trenchant perspectives layed bare before our eyes, the pared-down core of reality in all its sheer immediacy; penetrating insights into fundamental issues of existence; the heady Himalayan mystic's daring flights of fancy; as well as sudden awakenings, ethical lessons and quaint Himalayan homilies. The Tibetan raconteur invites his or her listeners into a lighthearted, illumined world--at times plausible, at times astounding. Through truth delightfully disguised, embellished by both fact and fancy, one is transported to a realm in which delights are legion. How long the listener or reader chooses to inhabit such an alluring realm depends for the most part on the artist's magic; for to the poet, everything is luminous, while for the dull, nothing is remarkable. "Mythology is the homeland of the muses." Myths are man's sacred history, legends his folk history; folktales are the short stories of oral literature. This universal, pre-literate art form offers a keen appreciation of the absorbing, ongoing melodrama of the human predicament. Whether imparting the secret oracular tradition to initiates or providing pabulum for developing minds in the nursery at bedtime, storytelling has always been both instructive and enthralling. Carl Jung believed that myths were not merely fanciful, but universally true and applicable. Traditionally, the bard has, with disarming levity and brevity, provided unexpected access to a penetrating understanding of the riddle of existence, thus fulfilling an important social role. Even tall tales stand up for themselves in the bottomless grab-bag which is the ethnological cornucopia, a smorgasbord of events as likely to occur as any others... Less to be believed as factual accounts of actual events, yet veridical as pictures of manners and modes of thinking connected with people foreign to us in both place and time. More than two dozen categories of stories appear in this collection of tales ancient and modern. Himalayan folktales, fairy tales, fabulous creature yarns, myths to live by and legends; records of the historical Buddha and his immediate disciples; doctrinal teaching tales, moral homilies, paradise and rebirth stories; goddesses and muses, brahmins, scholars and lepers; justice stories unveiling karmic concatenation, the law of cause and effect; monastery stories, children's stories, nomad tales, prison tales, devil stories, spirit stories; tales of pilgrims and sacred power places, saints, relics and talismans, psychic powers, curses, cures and resurrections; historical anecdotes; records of interaction between masters and disciples in the lineage transmission; tales of monks and nuns as well as layfolk, animals and dreams; trickster tales and humorous stories; tales of treasures lost and found; sudden awakenings and other enlightenment experiences; unadulterated wisdom tales, spiritual events and meditation instructions for followers and practitioners; tales of enlightened men and women; philosophical musings, psychological insights and inquiries; ribald tales, legends, visions, gods and demi-gods, deities, hungry ghosts and titans; tales of poets and yogis, saints and sinners; Dalai Lamas, Abominable Snowmen, blue Himalayan sheep, yaks and yetis, dragon-eating garudas, faithful animals and others... Woven into a seamless whole, like a sumptuopus feast. One unique aspect of the Tibetan tradition is its recognition of continuously reincarnated teachers and sages, such as the Dalai Lamas and the Karmapas (called tulkus, incarnate lamas, or Bodhisattvas). By consciously controlling their rebirth, these tulkus intentionally return to this world and continue working selflessly for the welfare of beings, lifetime after lifetime. In fact, such incarnate lamas often retain the name of their predecessors -- that is, the name by which they were known in their previous lifetime. The nineteenth century Dzogchen master Patrul Rinpoche, of whom anecdotes abound, is an example; his predecessor was PalgyC Trulku, abbreviated as Pa-trul. In other cases, incarnate lamas, tulkus, may be known by the place or monastery their predecessors hailed from. Such incarnate lamas inherit not only the name of their predecessor, but also -- at a very tender age -- his entire monastic estate, entourage, position and responsibilities, being considered in every way identical to their former illustrious personage. Occasionally women are also recognized as awakened incarnations, such as Samdring Dorje Phagmo, the famous incarnation of the deity Vajra Yogini who served as abbess of the Samdring Monastery. New names endowed with deep significance are often received during monastic ordination ceremonies or tantric rites of initiation, signifying spiritual rebirth. In Tibet, where women gave birth at home, legal birth records were not generally kept, and family names were secondary. Everyone celebrates their birthday en masse at New Year (which usually falls in February, according to the lunar calendar in use in Tibet) Important personages can claim several names and epithets, even within the same tale. One individual, especially a high lama, can claim as many as a score of grandiloquent names -- which often adds a wildcard factor to the historian's task. A master can be known under a host of honorific titles as well as personal names, clan nomenclature, nicknames, pen-names and other pseudonyms. Prolific authors like Patrul and Longchenpa enjoy sprinkling the colophons to their works with all variety of different signatures, often self-effacing diminutives. Traditionally, the author's name does not appear on the cover or title page of a Tibetan text, but at the end. Extemporaneous songs of spiritual realization (like Milarepa's) are signed within the final stanza by including within the composition itself the singer's current sobriquet, a common characteristic in the oral transmission. Various deities, major and minor, are also endowed with an abundance of diverse and, for the most part, salutary names and epithets, which can vary from region to region. Milarepa himself once sang, "Craziness is the characteristic of my lineage: crazed with devotion, crazed by truth, crazy for Dharma!" The fifteenth century author of the extraordinary biographies of Marpa and Milarepa is remembered by posterity as Tsang-nyon Heruka, the Mad Yogi from Tsang. Tsang-nyon also collected Milarepa's famous 100,000 Songs, as well as a multivolume redaction of the aural lineage instructions (nyen-gyud) descended from Naropa and Marpa. Tsang-nyon was outrageous; expelled from his monastery, he gained the pseudonym "cemetery wandering yogi". Yet he and his disciples produced several distinguished hagiographies -- most notably, biographies of Naropa and Rechungpa, Milarepa's moon-like disciple. Written in a lively colloquial style, with much attention paid to realistic everyday details, these masterful biographies, called namthar, have endeared themselves to countless generations--unlike many pedantic, dry, scholarly tomes. The purpose of a Tibetan namthar is to reveal how to "get there", similer to A Kempis's Imitation of Christ. Tibetan hagiographies abound; namthars rank among the most popular genre in Tibetan literature. Often composed in three concentric cycles, these biographies generally begin with events, the outer life story; then delve deeper into the inner experiences, visions, songs, dreams, spiritual evolution; culminating finally with the secret story, the mystery play which is the most quintessential expression of being -- secret because it can only be understood from within. Some namthars consider their subject as if they were perfect beings: born amidst miraculous omens, they accomplish everything they attempt in an exemplary fashion, and embody all religious ideals; others emphasize the aspect of the path to perfection, with all its unforeseen ups and downs. The best combine all these elements in a balanced manner, encompassing what Zorba called "the entire catstrophe". Today, the autobiographies of the few remaining living Buddhas are eagerly awaited. Geographical considerations and historicity often pose little hindrance to the inspired bearer of a tale, intent upon achieving at all costs his desired effect. Occasionally the same tale is recounted starring different protagonists -- as in the well-known story of the meditating hermit who had no time to emerge and trim the overgrown thornbush blocking the entrance to his cave.... Some say it was the Drukpa Kagyu master Gotsangpa, while others are sure it was Longchenpa. Historians in Tibet can differ as much as sixty years when ascribing dates to historical events and personages, in a nation whose history dates from 127 B.C. All Tibetan monks are men, but not all Buddhist masters are. Pajapati, Buddha's aunt, walked barefoot one hundred and fifty miles in order to request the Buddha's permission and blessing to found an order of Buddhist nuns. She took ordination; became liberated; attained the level of arhat; and reached Nirvana, along with many nuns. The eighth century Tibetan queen Yeshe Tsogyal was Padma Sambhava's chief disciple and lineage-holder. Naropa's `sister' Niguma, along with the dakini Sukkhasiddhi, is the source of the Shangpa Kagyu lineage. The young Tibetan shepherdess Jomo Manmo was a terton (treasure-master). Grandmother Chokyi Drolma is the original matriarch of the Drigung Kagyu order. The yogini Machig Labdron was Padampa Sangyay's immediate successor, matriarch of the Tibetan Chid lineage. The fifth Dalai Lama's Dzogchen teacher was Terdak Lingpa, founder of the Mindroling Monastery near Lhasa, whose daughter upheld and transmitted the Mindroling lineage. In 1953, the one hundred and fourteen year old A-yu Khandro (one of Namkhai Norbu's teachers) attained the Rainbow Light Body in her stone hermitage in East Tibet. The contemporary Dzogchen master Chatral Rinpoche claims a woman, Drigung Khandro, as one of his two root gurus. The Sakyapa master Jetsun Kushog teaches today in Vancouver. Mother Tara is one of the most popular deities in Tibet, like Kuan Yin in China. The classic wisdom scripture called Prajna Paramita Sutra exhorts the veneration of women as embodiments of gnosis. Prajna Paramita is envisioned as a deity in female form, the very personification of sunyata (infinite emptiness). The effulgent, fertile void of sunyata is the cosmic womb, the fundamental ground of being, the unborn and undying mother of all the Buddhas. The late Tibetan meditation master Kalu Rinpoche remarked that female practitioners often progress more quickly in the Vajrayana path than men, due to their greater intuitive openness and receptivity; for in the higher tantras, goal-orientation and forceful striving can hinder the actualization of innate perfection. Namkhai Norbu Rinpoche says that women are more likely than men to attain, through Dzogchen practice, the Rainbow Light Body of perfect enlightenment. Padma Sambhava, the Second Buddha, said: "Male, female: no great difference. But when she develops the aspiration for enlightenment, to be a woman is greater." Thus spoke the founder of Buddhism in Tibet. It is easier to get enlightened than to stay enlightened. More people have profound spiritual experiences than most realize. Having momentarily intuited or recognized who and what one truly is (Reality itself, things as they are, unmediated by thought), habitual dualistic propensities do tend to resurface, obscuring that fundamental existential insight and openness. One's intrinsic clarity and innate wakefulness is again shrouded by, and prey to, the winds of karma, the storm of emotionality and delusion. As a catalyzing agent, deep continuous meditation and uncompromising self-inquiry is the great highWay to wisdom and transcendence. Wonderment -- wondering about everything -- is the key.The Buddha himself reached perfect awakened enlightenment through such a practice-path; we are fortunate to be heirs to his legacy. Buddha means, literally, "the awakened one." The Buddha taught a practical approach to comprehending the intrinsic nature of mind and progressing in the spiritual life. What we think about reality and how things actually are can often be two, unfortunately quite different, things. It is important to recognize the reciprocal relationship between what one believes and what one perceives and experiences, for each mutually conditions the other. In Buddhist spirituality there is a gradual unfolding of intuitive truth, experimentally unveiled and verified--through meditation -- in one's inner laboratory. This quest is further facilitated and refined by intimate interaction with a spiritual teacher, an experienced guide who has already become familiar with the spiritual labyrinth and all its unexpected twists and turns. Blind faith -- total, unquestioning acceptance -- is discouraged; inquiry into the true and ultimate nature of reality as-it-is is the path. The goal is immediate, perceived knowledge, gnosis -- rather than derived, second-hand knowledge. Many people today are chewing on the conundrum, "What is the meaning of life?" This riddle is similar to the Zen Buddhist practice of meditating on a koan, a paradoxixal non-sequiter such as: "What is the sound of one hand clapping?" All spiritual practices are vehicles for awakening the innate Buddha-Mind, or heart-mind of enlightenment. True practice facilitates glimpses, glimmers, intuitions of enlightenment -- and moreover, matures that indescribable freedom and perfection in us, as we grow accustomed to actualizing it. Unlike most Occidental names today, in Buddhist countries one's name has a clear, spiritual meaning, recognizable by all. For both mystical and practical reasons, names have always been considered important. When we know who we are, we know where we fit in the cosmic pageant. Each of us is like a link in a chain; by knowing what we are, we know what we are a part of, and our individual existence assumes greater meaning. Much of the discomfiting alienation and confusion assailing us stems from a lack of appreciation of the implicit order, the underlying design, the larger pattern. All things can be said to bespeak God. To cling to one's habitual rational intellect and judge too critically serendipitous happenstances and the veracity of miraculous events is to place oneself far from the positive spiritual influence which this vital tradition continues to transmit to the open heart and mind. Words which whisper forth from the heart must be attended to with heart as well as intelligence, if the essence will be unveiled. An awakened spiritual teacher functions like a clear mirror, unmasking one's true identity by reflecting a more perfect picture of who and what we actually are. Sudden awakening, spiritual epiphany, peak experience, introduction to one's original nature, an opening of the heart, satori -- enlightenment experience by any other name still smells as sweet. To awaken implies recognizing one's true nature: seeing what has always been, rather than obtaining something new. In such a manner we awaken from the deep sleep of ignorance and are liberated into the unconditioned freedom and transcendental immanence of Buddha-Mind, absolute reality itself... Opening once and for all -- through direct inner experience -- to the inherent perfection and sacredness of authentic primordial Being. Sudden awakenings continue to occur, even today. Like a skilled diamond-cutter, who with one tap on a vital flaw can reveal in a flash all the jewel's innate, multifaceted splendor, an enlightened vajra master cuts through the gossamer veils of illusion obscuring self-awareness, helping us awaken to what we are. Shrouded in myth and protected by the snow-capped Himalayan fastnesses, Tibet has long been known as Shangrila, a lost world, The Forbidden Kingdom, The Roof of the World, The Land of Snow. Its one and one half million square miles, an area roughly equivalent to Western Europe, contain many of the world's highest peaks (including Mount Everest, on the Nepalese border). The three mile high Tibetan plateau is also the source of several of the great rivers of Asia, including the Indus, Sutlej, Karnalai, Brahmaputra, Yangtse, Yellow and Mekong. Tibet's Mount Kailash -- for Hindu, Buddhist, Jain and Bonpo alike the legendary throne of the gods (not unlike the Greeks' Olympus) and the spiritual epicenter of the universe, the axis mundi of our world--remains even today one of the major pilgrimage places in Asia. Tibet was once a powerful Asian kingdom, whose seventh century King Srongtsen Gonpo's cavalry conquered from Kashmir in the west to the Chinese capital at Chang'an in the east, and to the Ganges River in India in the south. Today Tibetans are an endangered species. Mysterious Tibet has always been renowned as a repository of arcane knowledge and occult wisdom. Its many monasteries, now ravaged, were the largest in the modern world; some housed over six thousand monks. One third of Tibet's entire male population inhabited them, in a country where the priesthood was the most prominent profession. Numerous nunneries, female anchorites and mendicants also flourished. News of Tibet first reached Europe in the fourteenth century, via a wandering Franciscan named Friar Odoric who may have been there. Ptolemy and Herodotus had even earlier heard rumors of a legendary spiritual kingdom in the high Himalayas. The forbidden city of Lhasa, Tibet's ancient capital (the Vatican City of the Tibetan Buddhist world, over two miles high), remained closed to outsiders until the British Younghusband expedition finally breached its invisible walls in 1904. Few foreigners have sojourned in fabled Tibet until recent times. Fifty years ago, television journalist and traveller Lowell Thomas managed to trek there with movie cameras and crew. Currently, widespread interest in theocratic Tibet and its rich traditional culture and religion has attained new heights, despite Communist China's efforts to suppress and destroy Tibetan traditions while exploiting Tibet's undeveloped natural resources and colonizing its native population. Since 1959, Tibetan lamas exiled from their conquered homeland have taken up residence in virtually every Western country. His Holiness the Dalai Lama, known as "the divine incarnation of Great Compassion" as well as Tibet's spiritual and temporal leader, has -- while working towards Tibetan independence -- led a tireless crusade on behalf of non-violence, human dignity, universal responsibility, world peace and civil rights... Demonstrating the Tibetan's resilient faith and inner strength, which alone lends dignity to life in that isolated country where the living spirit of Buddhism, against all odds, remains unquenchable. For it requires an inner life to genuinely live. The resourceful Tibetans long ago learned, out of necessity, how to cope cheerfully with a wintry lunar landscape, both outside and within themselves, in order to transcend despair and extract the delectable essence from life. Tibet was a sparsely populated country of farmers, traders and nomads -- a vibrant, wholesome people heartily grounded in transcendence; they were also known along the Trans-Himalayan caravan routes as shrewd traders. An isolated, backward, hardy, devout folk, Tibetans unilaterally affirm that they were far happier with their traditional society and its pre-industrial theocratic values than with whatever progress has forcibly imposed upon them from outside during the last several decades. Tibet's national tragedy has paradoxically proved a boon to the rest of the world. Many of Tibet's most eminent monks have, for the first time, made direct contact with the rest of humanity. And what seemed all but lost in Tibet -- the celebrated Middle Way, the compassionate Buddha's message of all beings' inherent enlightened potential -- has found another home in the modern world. Until recently, the only wheels in general use in Tibet were prayer-wheels, which were -- along with rosaries -- constantly in hand... transforming all activities, and one's entire life, into an ongoing prayer. On the other hand, encounters with deities, with fabulous beasts as well as invisible inhabitants of other realms of existence, and with the supernatural in all its forms, are never far from the horizon of the average Tibetan's consciousness; even today, whether in the East or West, such incidents continue to occur. Therefore, it would be unnatural if Tibetan religion, history, and oral and written literature did not abound with graphic incidents vividly exemplifying their underlying assumption of a higher order of being, the sacredness upon which all life rests. The vast and marvelous pantheon of Buddhist meditation deities has never ceased to play a role in the day-to-day existence of the average Tibetan, then or now. Things are not exactly what they seem to be; nor are they otherwise. Even if one may feel far from any sort of divine reality, one can rest assured that the ultimate and absolute is never far from us.... So the grand masters of Tibet would have us believe -- and moreover, see for ourselves. D.H. Lawrence wrote: "In the oldest religion, everything was alive, not supernaturally but naturally alive.... For the whole life-effort of man was to get his life into contact with the elemental life of the cosmos, mountain-life, cloud-life, thunder-life, air-life, earth-life, sun-life. To come into immediate felt contact, and so to derive energy, power, and a dark sort of joy. This effort into sheer naked contact, without an intermediary or mediator, is the root meaning of religion." Psychic powers and spiritual alchemy were not uncommon in Tibet, and endure even today. Fakirs and yogis with paranormal abilities are almost commonplace. In the Himalayan foothills, advanced Tibetan meditator-monks still manage to flourish on a diet of nothing but mineral powders and water; other lamas have apparently demonstrated to scientists their ability to halt both respiration and pulse for between thirty and forty minutes through yogic mind-control techniques, a seemingly impossible feat. (Some living lamas claim to be able to hold their breath for twenty four hours, through yogic accomplishment.) Tibetan doctors diagnose almost entirely by palpating a patient's pulse, with documented accuracy. Traditional medicines are concocted by doctor-lamas from formulae including powdered jewels as well as rare plants, some of which are endemic only to the Tibetan region. Other arcane recipes produce (along with certain ritual practices) longevity pills, the pill of third-eye vision, and an eye-salve purportedly facilitating omniscience. Pressure-point massage, moxibustion and herbal treatments combined with precise astrological calculations and shamanistic rites combine to produce, in many cases, remarkable cures. There are respectable, not uncommon, spiritual and yogic practices to stave off disease and untimely death, prolong life, transfer consciousness into other forms of existence, cause rainfall and hail, inhibit or enhance fertility, and transmute poison. Resurrection is not unknown. A lama told his disciple: "Until you can resurrest the dead, you shall not kill." One man's mythology or magic is another's religion, science or philosophy. Within the Tibetan teaching tale it can become difficult to distinguish fact from fancy, where levitation, mind-reading, clairvoyance and clairaudience are not at all unknown, and legend has it that the Dalai Lamas traveled from monastery to monastery on the backs of the greatly revered Tibetan black-necked cranes -- a rare species known by zoologists to breed exclusively in Tibet. The pre-literate Tibetan knew he had an ape in his family tree fifteen hundred years before Darwin, a clear demonstration of the indispensable value and function of mythology in transmitting tribal knowledge; for the native creation myth of this proud, colorful people includes the inception of their race through the lusty coupling of a divine monkey and a red-faced rock-dwelling ogress who happened to be in heat at the time, in Sothang Cave of Yarlung Valley -- eventually producing six red-faced offspring. Later commentators identify the monkey as an emanation of Chenrayzig (Avalokitesvara), the Buddha of Compassion and Tibet's patron deity, and the ogress as an incarnation of Tara, the female Buddha who is that nation's protectress. Legends can often illuminate truth more profoundly than historical facts -- which may, in any case, be rudimentary. In the search for religious truth, an appreciation and examination of a people's myths and legends is not only enriching, but can prove indispensable. Myths are powerful guides to the spiritul world. Their purpose is to enhance consciousness, and provide values to live by. The poet Schiller claimed that he found more deep meaning in the fairy tales of his childhood than in the truths life itself taught him. Mythology is generally acknowledged by educators as being no less essential than music, arts and crafts, peers, animals and sports to developing in young children an intuitive comprehension of life, that unfolding human paradox-- bringing greater courage, freedom and confidence in facing the unexpected challenges of an unknown and mysterious world. Tiny children love to hear the same story retold again and again; this gives them increasing security and confidence in their growing grasp of the human comedy. At each stage of a child's development, the same tales assume different levels of meaning, and are therefore imbued with renewed value. Myths explain the marvelous, mysterious world, and our place in it. Teaching tales always reward rereading. Folktales naturally function like a magic mirror. Vividly reflecting the inner workings of the pre-rational, subconscious mind through phantasmagoria, they unexpectedly reveal truths and possibilities beyond the limits of ordinary reason, freeing and supporting one's own imagination; at its best, allowing the impossible to become conceivable. How many breakthroughs might have remained undiscovered without such encouragement! For children the world is wondrous, magical; this is part of their charm. Fundamentally animistic, for children everything is equally alive. Most discerning adults may be less than pantheistic; yet their need for an animating principle in their lives remains remarkably undiminished, even if unacknowledged. Faith in something greater than ourselves, something to believe in, enriches many lives in all walks of life, however diverse and seemingly unconnected. Hopes, dreams, fantasy, art, enchantment -- what would life be without them? Faith is magic, illogical. Everyone has his own religion; everyone believes in something. Young children believe in everything. The wizards, sorcerers, witches, genies, ghosts and goblins, dybbuks, ogres, giants, dragons, elves, trolls, sprites, nature spirits, phoenixes, unicorns, Bigfoot, cyclops' and fairies of Western mythology correspond in Tibetan lore to omniscient yogis, wonder-working sages, powerful dakinis and yoginis, one-eyed single-breasted wrathful Dharma protectors and multiarmed, omni-eyed, many-headed deities who have attained various levels of perfection, as well as enormous nagas (serpent-like, semi-divine creatures), ferocious Himalayan guardians, towering war-like demigods, mountain gods, animal-headed spirits with human bodies, snowlions, garudas (celestial hawks), hungry ghosts and other forms of illusory being, both seen and unseen... Including the elusive Yeti, the Abominable Snowman. The Yeti is probably as real (or unreal) as we are. Along with the Dalai Lama of Tibet, the Yeti is one of the few world-famous Himalayan citizens. Seen by many over the centuries, the legendary Yeti was recently sighted twice in eastern Tibet by Reinhold Messner, the world's leading mountaineer. The huge ape-like creature was also spied in Nepal by the British mountaineer Don Whillans in 1970, making off across the southern slope of Mount Annapurna clutching a bag of pilfered English chocolate bars! In Mahayana Buddhism vast pantheons of shining deities symbolically embody particular facets of the creative potential inherent within the awakened heart-mind. The original Buddhism of India reached Tibet six hundred years after the beginning of the Christian era; there it assimilated some of the outer characteristics of the indigenous Bon religion, while enhancing their inner meaning and value through Buddhism's sophisticated psychological perspective. This process of assimilation included Bon's mountain gods and local spirits, who putatively had to be subjugated and bound under oath (by the Indian tantric master Padma Sambhava's powerful magic) before the foreign religion prevailed. Tibet is a land where beauty, grandeur, solitude and the most elemental forces of nature elicit man's most sublime aspirations -- a splendor which dwarfs petty, self-centered considerations. The human response in answering the challenging issues of existence -- within the context of the magnificent yet bleak, inhospitable wilderness of much of the Tibetan plateau (with its awesome, glittering citadel of the snowy Himalayas, dense forests and deserted, arid northern plains)--coupled with the crazy wisdom of the siddha lineages from India and enhanced by the vivid Tibetan imagination, doubtless combined to produce the colorful chiaroscuro which is Tibetan Buddhism today. The high Himalayas seem charged with an unadulterated silence, emptiness and infinitude, an ambiance maintained by the dazzling, eternally snow-covered peaks. In contrast, to enter a Tibetan temple is to be transported into sumptuous splendor, a vibrant, almost psychedelic, visionary realm populated by an infinite variety of sacred images, scroll paintings and statues, silk brocade cushions and impressive thrones, framed photos, ritual implements, musical instruments, sights, sounds and scents. It is interesting to note, by way of comparison, that the Japanese Zen approach to a Buddhist temple experience is to create an atmosphere of unadorned, elegant simplicity -- a fact which perhaps reflects the different external environments of the two countries, as well as the differing temperaments of their peoples. For in the Japanese archipelago, with its four distinct seasons and great variety of gentle natural beauty, people turned to bare simplicity for a transcendent experience, something different from their daily existence; while in wild, remote Tibet (whose desolate northern steppes and mountainous natural defenses even the Mongols, Marco Polo, the Islamic hordes and British colonials failed to penetrate), people turned to the magnificent richness of a religious tradition full of all the color, pageantry, wealth, and aesthetic as well as transcendental experiences which their simple, everyday lives lacked, and supported that tradition with all their heart. Zen and the Tibetan Vajrayana have more in common than meets the eye; both Buddhist schools emphasize, above all else, the absolute immediacy and unwavering presence of immutable Buddha-Mind, more than commonly taught in other schools. However, preliminary Tibetan spiritual practices are more complicated than basic Zen practice, which mainly consists of sitting in a lucid state of meditation. The Tibetan devotee energetically expresses his enthusiastic faith and aspiration by any number of outer manifestations of virtue, all forms of meditation in action -- including performing hundreds of thousand of full length bodily prostrations, reciting prayers, chanting millions of mantras, visualizing infinite meditational deities, performing elaborate physical yogas combined with breathing techniques, using prayer-wheels, rosaries and other traditional devices, erecting prayer flags, carving mantra-inscribed stones, circumambulating sacred sites, lighting candles, memorizing and copying scriptures, feeding beggars -- all with the expressed purpose of purifying the mindstream, achieving enlightenment, and liberating all without exception from the illusory sufferings of conditioned existence. The classical Buddhist wheel of life, the Wheel of Samsara (cyclic existence), includes six realms of dream-like being...not simply confining itself to the human and animal realms ordinarily perceived through physical eyes. According to the Buddha's enlightened vision, which is markedly distinct from mere folklore, these six realms (with various subdivisions) extend from the virtuous, pleasure-intoxicated gods on high, down to the miserable infernal realms, where unfortunate beings suffer karmic retribution for their evil acts. Moreover, it is taught that--on the way to total transcendence--to have actualized one's innate enlightened potential and ascended the jewelled staircase of being can bring, concomitant with spiritual realization, psychic powers far beyond the realm of mortal men... including eyes to see other realms of existence, access to both past and future, knowledge of others' thoughts, direct insight into karmic cause-and-effect, and other miraculous abilities. Enlightened masters intentionally take rebirth, where and when and to whom they choose. Incarnate lamas, such as the Dalai Lamas and the Karmapas, often predict with precision where, after their demise, their followers will locate their next rebirth. Reincarnation is an ancient and respected doctrine, not unknown to Christians and Jews before the onset of modern, rational, anti-mystical reforms. Evidence supporting this belief is found in both the Bible and Kabbala as well as in Hasidic literature. Moreover, regarding previous lives and the so-called transmigration of souls, legends, myths and tales are rife. According to polls, today approximately thirty per cent of Americans believe in reincarnation. The continuity of consciousness from lifetime to lifetime provides the skilful storyteller with endless opportunities -- too good to be missed -- to weave, through a long course of events, magnificent tapestries of human and divine interaction, demonstrating the inevitable results of folly and advantages of virtue and righteousness -- or whatever other themes he is intent upon elucidating. Oriental literature contains numerous stories of the previous lives of the Buddha (actually recounted by himself), of the avatars (incarnations) of Vishnu, and so on, which are considered more-or-less historical, all of which are perfectly consistent with original Hindu, Buddhist, Jain, Taoist, Egyptian, Platonist and others' concepts of ongoing spiritual evolution over a succession of lifetimes. Those with the eyes to see, can perceive the past and future lives of themselves and others. Buddha said: "Children, I have not come among you now for the first time. For five hundred lifetimes and more before, the Buddha has gradually traversed the path to perfect Buddhahood, awakened enlightenment... Sometimes as leader of the herd -- a deer among deer, a monkey among monkeys -- sometimes as children, sometimes as beings great and small; loving you as I do now, guiding as we go, striving for your weal and welfare." In fact, all forma are the Nirmanakaya (tulku, in Tibetan), the manifest body of perfection, Buddha. One could do well by remembering that. Tibet is a country rich in ancient monasteries, saints, power places, talismans and miraculous relics -- now decimated -- and equally replete with fascinating anecdotes about them. As the Himalayan bard never wearies of reminding us, faith can move mountains: believing is seeing. Faith alone possesses the unique and marvelous power to consecrate and empower any sort of object... As in the well known case of a dog's tooth from distant India being passed off in remote Tibet as an actual tooth-relic of the Lord Buddha himself, and thereafter producing an inexhaustible stream of miracles and blessings for the faithful. Material objects, statues, garments, and places-- having been consecrated by an illumined sage or saint, and thus redolent with blessings--will likewise retain those self-same spiritual blessings, vibrations powerful enough to communicate themselves to those receptive to them...as in several of the Tibetan tales in this collection. A recently attested case concerns Tsong Khapa, the founder of the Dalai Lama's own Gelugpa, or Yellow Hat, school. Tsong Khapa was born in East Tibet at Amdo in 1357. Buddha Manjusri's incarnation on earth, he is widely regarded as having been the reincarnation of a young boy who had once offered a crystal rosary to the historical Buddha. The Buddha himself predicted that the boy would, in another era, be instrumental in spreading the teachings in Tibet, which eventually transpired. Khumbum Monastery in Amdo was later erected at Tsong Khapa's birthplace by the Third Dalai Lama. A tree grew on the very spot where Tsong Khapa was born, with its leaves and bark displaying on their surfaces various Buddhist letters and symbols; this sight was attested to by countless monks and pilgrims generation after generation, including the nineteenth century French Lazarist missionary AbbC Huc, author of "Travels in Tartary, Thibet (sic) and China." 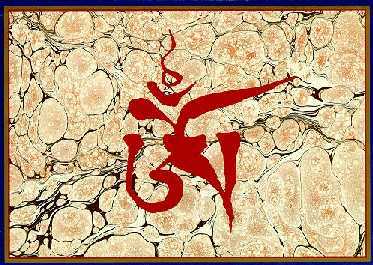 A nearby rock in that same monastery courtyard inexplicably displays a spontaneously self-arisen Tibetan letter `Ka' -- signifying the oral teaching of the Buddha -- marked upon it. Even recently, in occupied Tibet, Tsong Khapa's miraculous legacy persists. After his demise, his mortal remains were embalmed and enshrined in a golden stupa (reliquary monument) in the Ganden Monastery, which he himself had built near Lhasa during his lifetime. When the Red Guards desecrated that stupa, six centuries after Tsong Khapa's entombment, they were mystified to discover that the Tibetan master's perfectly preserved body was still warm, with its hair and nails growing -- five hundred and fifty years after his passing. Touching, seeing, or merely hearing about such a miraculous relic is unequivocally affirmed to ensure future rebirths in superior realms of existence while purifying the karmic causes for rebirth in the lower realms. Those who pray or perform other spiritual exercises, enhanced by genuine faith in such sacred relics, are sure to reap immense benefits both now and hereafter. As the Buddha himself said: "In later years, for following generations, I will take the form of statues, paintings, pictures, scriptures, books, reliquary monuments, bridges, ferrymen, doctors, medicine -- whatever form is beneficial to those in need." When the historical Buddha Sakyamuni was enlightened beneath the Bo Tree in Bodh Gaya, Northern India, he said: "When I am enlightened, all are enlightened; the entire universe is enlightened." Buddha-Mind includes all and everything. Lama Govinda writes: "To see the greatness of a mountain, one must keep one's distance; to understand it's mood, one must experience it from above and below, at sunrise and sunset, in all weather and during the various seasons. The life of a mountain is as intense and varied as that of a human being. There is a deep inner relationship between mountains and monasteries, the true embodiment of the spirit of the Himalayas. What mountains and monasteries have in common is greatness, simplicity, strength, aloofness and endurance. Wherever beauty, solitude and grandeur conspire to produce an atmosphere of awe and religious inspiration, there will be found a sanctuary, a hermitage or monastery, or a place of pilgrimage. These citadels of faith amidst the most challenging forces of nature are the fulfillment of nature on a higher plane, expressing its transcendent spirit through the ascending aspirations of man." Among the Himalayan kingdoms of antiquity, the Tibetans have long been considered the most spiritually advanced -- if only because of their physical proximity to heaven. However, it seems unlikely that the spiritual status long accorded Tibetan masters and their teachings in the Indian subcontinent can stem solely from Tibet's lofty height above sea level, or the majestic beauty and mystery of the highest mountain range on earth. Indubitably, it was the particular form and practices of Buddhism in Tibet which inspired such a reputation: for more than one thousand years it was the predominant influence in that unique kingdom, a fragile and vanishing Buddhist culture as well as a watershed of all the extant Buddhist traditions. To love others as oneself is the essence of Christ's message. Joseph Campbell said that he learned religion from a young Tibetan lama, who harbord no ill will towards the Communist Chinese who had conquered and revaged his homeland and forced him into exile. He had learned to generously accept and tolerate all things, while simultaneously striving for the highest spiritual goals and ideals. "To love one's enemy is the essence of Christianity," Campbell affirmed. The Dalai Lama's Nobel Peace Prize attests to the world's recognition of this verity, as well as his embodiment of universal tolerance and compassion in action. Empathy is the the Bodhisattva path--putting oneself in another's shoes--the great way of awakening to that which is beyond our finite selves. See through egotism and selfishness, and new horizons are revealed. Tibetan Buddhism is an enhancement and further development of the original teachings actually spoken by the historical Buddha, and common to all Buddhist schools. This distinguished Tibetan form of Mahayana Buddhism is most widely thought of as tantric, or nondualistic, in nature. Actually, it encompasses all the various levels of Buddhist practice, from the most basic ethical disciplines, rational philosophy and virtuous practices to the utmost development of mystical meditation practices actualizing inconceivable states of authentic primordial being. experience perfect enlightenment, freedom, peace." How, then, did the so-called crazy wisdom of the tantric Vajrayana come about? Technically known as the Vajrayana, or Diamond Vehicle, Tibet harbored the extraordinary gnostic tradition originating from the enlightened yogic adepts and "divine madmen" of ancient India. These inspired upholders of `crazy wisdom' were holy fools who disdained speculative metaphysics and institutionalized religious forms. Carefree iconoclastic yogis called siddhas, or great attainers (a coterie including such illustrious personages as Saraha, Tilopa and Naropa and the Tibetan Drukpa Kunley), they expressed the unconditional freedom of enlightenment through divinely inspired foolishness... vastly preferring to celebrate the inherent freedom and sacredness of authentic being, rather than clinging to external religious forms and moral systems. Through their playful eccentricity, these rambunctious spiritual tricksters served to free others from delusion, social inhibitions, specious morality, complacence -- in short, all variety of mind-forged manacles. Crazy wisdom is a heightened form of lucidity, which sees through everything. It is a delicious, higher form of sanity, based on trenchant insight into how things actually are (as well as how they appear) -- an exquisite irony unveiled by a cosmic sense of humor. It is what the Sufi author Idries Shah has dubbed "the wisdom of the idiots." Nondual tantricism is a potent, often ecstatic brand of transcendence, emphasizing the inherent sacredness and equality of all things. Crazy wisdom epitomizes the untrammeled essence of spirituality; flouting conventional dogma and self-righteous piety, it is the antithesis of puritanism. The ribald humor and outrageous radical behavior of these anarchic itinerant mystics, the siddhas, never strayed into mere frivolity or licentiousness, but effectively functioned to break the spell of worldly illusion by shaking the slumberous into awakening. Why crazy? -- Why madmen? Why fools? Because what the religious functionaries of this world call wisdom, these fearless yogis and unconventional sages perceive as nothing but folly. The European court jester of the Middle Ages saw through pretence and hypocrisy, and enjoyed poetic license in unhesitatingly telling things as they are. The `holy fools' ("Fools for Christ's Sake") such as St. Symeon of Eemesa of the Eastern Church; Sufis including the legendary Mulla Nasruddin; historical Zen iconoclasts such as the Chinese vagabond-poets Han Shan and Shih-te, and other Zen masters; these are the spiritual kin of the Indian and Tibetan siddhas. Intoxicated by crazy wisdom, the bawdy, spontaneous behavior of these unorthodox spiritual masters rarely conformed to the rigid strictures, materialistic values and arid proprieties of respectable society. Irreverently flaunting their uncompromising freedom by subverting all forms of social convention and superficial value systems, these enlightened lunatics had a genius for shaking up the religious establishment and keeping alive the inner meaning of spiritual truth during the time of Indian Buddhism's external decline-- continuing to motivate and challenge those members of society open to such inspired spiritual influence while appearing mad from the banal, ordinary point of view. Presumably, this is why St. Francis of Assisi once appeared stark naked in church, and also referred to himself and his disciples as "the Lord's jesters" -- parodying the apparent absurdity of existence. Scintillating stories of the ecstatic eighty-four siddhas of India (of which there are published collections) remain one of the most popular genres in Buddhist literature today. This particular tantric tradition, through the living oral transmission (from master to disciple) of its various lineages, has been maintained and preserved intact for twelve hundred years, through modern times, in the Tibetan tradition alone, which gave birth to its own enlightened adepts. Mere remnants of the various Buddhist tantras, including the esoteric and efficacious practices related to those mystic Sanskrit texts, are also still extant in other Buddhist countries, such as Japan, Mongolia, and China, as well as eastern India and Bengal. Traces of Hindu tantricism are also found in Orissa and East Bengal; the Hindu tantras have a similar, yet slightly different emphasis than that of the Buddha's teaching. Maitripa, Marpa's Mahamudra guru, was one of those Indian siddhas; he was expelled from Nalanda Monastery for consorting with women. When he departed, crossing the river by riding his meditation mat while sitting in tantric embrace with his consort, and then soared into the distance, his former colleagues wondered if they had not been mistaken. Virupa, another siddha, stopped the sun's progress across the sky when he plunged his magic dagger into a shadow on the bartop, in order to best a tavern-keeper who was awaiting sunset in order to collect a bill for the barrels of wine Virupa had miraculously consumed. Dombhi Heruka rode wild tigers, wore poisonous snakes as garlands, and emerged unscorched from a bonfire. Padma Sambhava, the Lotus-born Guru, displayed countless miracles while establishing Buddhism in shamanistic ancient Tibet. Other siddhas were notorious for frequenting cemeteries and charnel grounds, living on offal, consorting with lepers and outcast women, adorning themselves with mud, ashes and poisonous snakes, drinking from skullbone chalices, and parading naked, wearing only bones as ornaments. Such eccentricities served these outrageous illuminati in shocking the populace out of habitual thought processes. Through impeccable inner discipline on such an extraordinary spiritual path -- simply keeping nonconceptual intrinsic awareness vividly alive, in all circumstances--many achieved enlightenment while engaged in ordinary activities, without abandoning their customary occupations... By assimilating all experiences as spiritual nourishment, greatly enhancing the scope of the path. This is the genuine significance of such unorthodox behavior. The special Buddhism of Tibet encompasses the entire range of Buddha's teachings on the theory and practice of three paths, or vehicles-- Hinayana, Mahayana and Vajrayana...The Little Way of individual freedom, the Great Highway of universal enlightenment, and the inconceivable Diamond Way of transcendent immanence and primordial perfection. Each path or vehicle is explicitly intended to lead seekers of different capacities and aspirations directly to spiritual freedom and enlightenment. The nondualist Buddhist wisdom-scriptures known as Tantras were taught to advanced disciples by the Buddha, who appeared in the guise of various meditational deities. The Tantras purportedly describe the most direct and immediate path to perfect awakened enlightenment, a goal which can be reached even within the course of a single lifetime. Diligent meditators (like the eleventh century Tibetan yogi Milarepa) unswervingly followed such a transcendent tantric Vajrayana path and attained perfect Buddhahood, the ultimate actualization of perfection, within decades. Among its principle tenets, the nondual outlook of the Buddhist Tantras emphasizes inseparability, the perfectly whole and coherent nature of reality, the essential oneness of being. This totally integrated sacred outlook intuitively recognizes the inseparability of the human and the divine, the inherent sacredness of all things--thus consecrating every single act of daily existence-- and the immanent enlightened nature of all beings... Explicitly stating that Buddhahood is not necessarily as far away as one might suppose. Subtle and profound tantric teachings imply that we are all like sleeping Buddhas. Our sole spiritual task is simply to awaken. The great-hearted Mahayana Buddhism of Tibet (once quaintly known as Lamaism, a misnomer, due to the misunderstanding of certain Christian missionaries of the nineteenth century) was preserved and protected in the pristine purity of its naturally isolated mountain cloister since ancient times. Three vast monastic complexes, each housing approximately five thousand monks and including philosophical colleges and seminaries as well as meditational retreats and immense prayer-halls, surrounded the capital of Lhasa alone. Some seven thousand other monasteries, nunneries and humble hermitages adorned the virgin wilderness of the Tibetan plateau. The Egyptian pharaoh in Plato's "Phaidros" rejected the newly invented hieroglyphic script as a mode of transmitting knowledge, arguing that it would weaken man's capacity to memorize and remember. Similarly, a great deal of the learning which took place in theocratic Tibet was done by rote. Vast quantities of scriptures and prayers were committed to memory by every upstanding member of the Buddhist establishment, many of whom were often obliged to participate in elaborate day-long liturgical rites or lengthy classical debates (greatly relying upon precise scriptural quotation) without so much as a single text or prayerbook to refer to. Moreover, to be thoroughly conversant with the biographies of the enlightened masters and the rich lore of the oral tradition was a fundamental part of every lama's education-- as in traditional societies everywhere, where the important social role of the proverbial raconteur or storytelling bard has often included functions as diverse yet interrelated as educator, entertainer, priest, prophet, poet, troubador, shaman, historian, and metaphorical keeper of the ethnological keys to the culture's treasure-chest. Tibetan historians of old regarded the ancient, pre-Buddhist storytellers and singing bards as protectors of the kingdom, citing the fact that the correct recitation of legends of origin was a religious act, necessary for upholding the order of the world and of society. Outside of the educated clergy stood the peripatetic professional story-tellers known as lama-manis, or simply manipas, whose fire-and-brimstone moral tales provided an inexhaustible source of delight to their predominantly unlettered audiences. Two aged representatives of this near-extinct breed of bard have recently committed their phenomenal wealth of oral lore to tape recorders, at the Library of Tibetan Works and Archives in Dharamsala, India, the Dalai Lama's capital-in-exile. Other Tibetan raconteurs specialized solely in lengthy verbatim renditions of Gesar of Ling, Tibet's national epic. Originally a handful of bracing songs, Gesar has grown--through countless ad hoc oral redactions over the centuries, like Homer's Odyssey and the even older Sanskrit Mahabharata--into a voluminous saga, chronicling the adventures of the heroic eleventh century warrior-king Gesar of eastern Tibet, who drew inspiration from the ethical values of the mystical kingdom of Shambhala (which modern scholars place in Central Asia). Another class of bards is called pawos (heros); they are mediums who enter into a trance, allowing a god or epic hero to tell their tale through them. Thus they themselves enter the hero path, giving themselves to something greater than themselves. The pioneering efforts of Elisabeth Kubler-Ross find precedent in a subgroup of Tibetan raconteurs, known as daylok, who claim to have returned from the dead; they are tireless in recounting their after-death, out of the body, experiences--often of infernal netherworlds, where people reap the karmic fruits of their evil actions. These tale-bearers serve the function of raising moral standards in the general populace. Several lamas with seemingly miraculous powers of memory have been known to retain by rote the entire Buddhist canon, the Tripitaka -- difficult to believe as that may be. This is said to be a power which can be developed by -- among other things -- praying to Manjusri, the Buddha of Wisdom. The Kangyur, the Tibetan Buddhist canon, consists of approximately 1100 texts. It was first printed in Tibetan in 1410 in Peking, under the patronage of the Ming emperor Yung Lo, in over one hundred volumes, utilizing incised wooden blocks known as xylographs; the canon had been earlier reproduced in the original Pali and in Chinese centuries earlier. The global, ecumenical value of preserving Buddhist culture may be symbolically suggested by the fact that the oldest extant printed book in our world is, in actual fact, an ancient Buddhist scripture -- a Korean xylograph (incised woodblock print) copy of a Chinese version of the Diamond Sutra, one thousand years old. Moreover, it is due to the undisputed authenticity of the detailed Buddhist and Jain scriptures that modern historians know more about Indian life and society in the centuries immediately preceding Christ -- the era when those two Indian religions were founded -- than about eras both before and after. Today, the accumulated Buddhist wisdom of this Shangrila-like land has come down to us under the aegis of the recently exiled lamas and monks of Tibet, many of whom fled with only the clothes on their backs. Much of their teachings have been passed on today in the form of tales and stories, for the explicit purpose of re-igniting the living flame of one's own innate spiritual wisdom. Just as one candle is lit from another, the unborn and undying flame of enlightenment experience is transmitted from antiquity until today, for the benefit of one and all. From the traditional Buddhist land of Ladakh in north India near the Tibetan border, the contemporary British poet Andrew Harvey reports: "Once I asked an old lama in Ladakh -- a wilderness fragrant with sacredness -- what I could do as a writer to stave off the destruction of ancient Buddhist culture in our turbulent, materialistic times. `That is not enough,' I said. `No' said he. `But it's something.'" In all truth, tales ought to be told, not read. An old Yiddish saying asserts that God created man because he loved stories. Goethe said that he derived self-confidence, insight into himself, and an ability to enjoy life through the freestyle renditions of fairy tales by his mother, a renowned raconteuse -- which inculcated in him a deep and lasting appreciation of the subconscious, irrational aspects of mind and opened him to the pleasures of a rich fantasy life, inspiring him to leave a literary legacy for future generations. "You wish to see; listen. Hearing is a step toward vision." St. Bernard of Clairvaux. "Walk where we will, we tread upon some story," wrote Cicero. No less an authority than Plato, in the Republic, suggested that the future citizens of his ideal republic begin their literary educations with myths, rather than factual information, in order to inculcate at a formative stage a desire and respect for higher consciousness, fearlessness, inner resources, imagination, ethical behavior and brotherhood -- and ultimate happiness. His follower Aristotle said: "The friend of wisdom is the friend of myth. The lonelier I am, the more of a recluse in old age I become, the greater is my love of myths." Joseph Campbell reported that myths and legends helped him to appreciate his later years of life. The preeminent Buddhist philosopher Nagarjuna authored a collection of fairy tales. Much of Aesop's Fables, The Arabian Nights, Saadi's Gulistan (and other later European collections) stems from Eastern sources -- particularly from the Jataka Tales and the Panchatantra ("Bidpai's Animal Fables"), two extremely ancient Indian collections. Some sources state that Bidpai the Storyteller was an aged Indian sage who lived shortly after the reign of Alexander the Great; that Bidpai dared to admonish his king; and that the Bidpai tales, embodying his wisdom, were offered from a dungeon as constructive criticism until the sage was finally feted and freed. Regarding the importance placed upon storytelling in India, it is recounted that once in ancient times there was a well-meaning king who had three sons. Unfortunately, none of them seemed to be able either to assimilate the duties and ideals proper to sovereignty or to progress in their studies of Sanskrit grammar, composition, astrology, Vedic rites and the like. Therefore, the hapless king feared for the future of his patrilineage, his kingdom and his people, since it seemed that he would be without a worthy successor. "How to educate these growing boys?" he lamented again and again. "They seem totally incapable of concentrating on their studies," his queen added. And they reproached themselves for failing to bring up their sons in a manner fit for kings. Finally, after much musing, one sagacious old minister told the king of a learned Brahmin who was reputed as being the finest teacher in the land. Therefore the king swiftly summoned the aged, erudite sage, and offered him a king's ransom in gold if he could manage to educate his three dull sons and inculcate in them a value-system consistent with their princely duties. The white-bearded seer, however, would accept no reward for doing his humble duty in assuring the kingdom's future by instilling righteous values and ideals in the three princes. "If by the end of six months your sons are not paragons of princely behavior who exceed their peers in both knowledge and wisdom, banish me as a charlatan!" he exclaimed, to the amazement of the entire court. "For gold I have no use." "So be it!" proclaimed the king, who knew a true pedagogue when he saw one. "But how will he manage to accomplish such a task?" everyone wondered, whispering among themselves, their elegantly turbaned heads bobbing up and down. Then the great sage (who may have been Bidpai himself) taking the boys under his wing, composed for their edification and instruction the five fascinating volumes of animal fables known to posterity as Panchatantra, The Five Books of Princely Tales, by which he perfectly accomplished his purpose. After six months, the king had three worthy successors and the well-being of his people was assured, all the more so since future generations would inherit that delightful Sanskrit classic for spiritual inspiration and guidance. These tales later became known to the Western world as "Bidpai's Animal Fables." Indigenous oral and written traditions predate the advent of Buddhism in Tibet. However, the Tibetan literary language as we know it was created in the seventh century, under royal auspices, by a learned Tibetan official named Tonmi Sambhota (who based both written script and grammar on Sanskrit) for the explicit purpose of transmitting the authentic original Buddhist teachings from India, their land of origin. Nonetheless, until recently Tibet was largely an oral culture in which memorization was of paramount importance. In order to receive full transmission of the Buddhist tradition, lamas in Tibet are required to receive oral transmission of Buddhist scriptures and teachings from a qualified lama in the oral lineage; this is called lhung, or oral authorization. Tibet claimed a higher literacy rate than most Oriental countries; many members of the populace could read sufficiently well to recite their daily prayers. True erudition, however, was limited to the members of the Buddhist hierarchy, whether in monasteries or in the government. Electricity was rare. There were no public schools, modern printing presses, post offices, clocks or communications media. Gutenberg never came to Tibet -- at least, not until very late in that kingdom's life. Handmade woodblock printing presses (utilizing handcarved blocks of incised wood rather than moveable metal type) owned by monasteries and Buddhist libraries were, until recently, the principal source of Buddhist texts in Tibetan, along with unbound calligraphed rice-paper manuscripts. Therefore history, teachings, literature, prayers, spontaneous songs, the tunes for chanted liturgies, and compelling philosophical doctrines have often been taught and preserved through memory, and memory alone. Even today, many of the ancient tunes for chanted liturgies as well as songs and prayerful invocations remain, after centuries of being passed orally from teacher to student. Other oral traditions include Tibetan opera, known as Achi Lhamo, created by a lama in the Middle Ages. Now, as before, it remains among the most popular forms of entertainment at Tibetan festivals, along with the so-called lama dances (Cham, in Tibetan) which are actually a disciplined form of spiritual practice. Moreover, spontaneous songs of enlightenment (dohas) continue to be sung extemporaneously today by the remaining members of this spiritual line. The oral wisdom tradition is like the cosmic sepent Ourobouros, forever feeding upon, and nourishing, itself. Easily recalled, short and to the point, variegated enough to perk up the interest of any kind of audience, teaching tales preserve and communicate Buddhist thought and values while attaining a life of their own. Benighted modern man may have forgotten that reading, reciting and aurally receiving spiritual lore are a devotional act, meaningful in itself. Yet an enduring fascination with traditional tales continues. Everyone loves a good story. The stories in this collection are part of this living oral tradition of Buddhist teaching. Each tale was told by the learned and accomplished lamas who are among the last remaining representatives of that endangered tradition, a boundless source of faith and inspiration amidst our turbulent times. Due to their inherent value, tales often enjoy extraordinarily long lives, appearing in different guise in different times and places; the same story with different cultural trappings often reappears, making the same moral point, as indigenous literature in various countries. One example is the Tibetan tale of two monks encountering a leper on a riverbank, which similarly appears in the guise of a Christian tale in France and a Zen tale in Japan, differing only in small details. For many centuries, Jewish folktales have helped maintain and enliven that homeless people's cultural identity, wherever their travels have taken them; oral literature serves a similar purpose for the Tibetan in exile. The purpose of Tibetan tales is to provoke, instruct, motivate, edify and amuse -- culminating in spiritual awakening... through preserving and transmitting the sublime Buddhist teachings with which these stories, even the most mundane, are imbued. They are therefore universal stories, transcending any particular culture or religious context. Why spend one's time merely looking at the bejewelled finger pointing to the full moon, when we might enjoy to its fullest the perfect, luminous, celestial sphere itself? In such an oral tradition, it is rare to find the same story retold in exactly the same way twice, which accounts for the multiplicity of versions to be found today among the various Tibetan schools and lineages. However, as the eminent Nyoshul Khenpo Rinpoche has said, although one cannot affirm with absolute certainty that every factual detail of the tales and stories in the living oral tradition is perfectly accurate, yet one can be certain that, unless preserved and transmitted, this wealth of spiritual lore will soon be lost. It is said that to hear the whisper of the angels' wings, one must still the beating of one's own and listen with the heart. For angels, each breath is a prayer -- to sing is to fly. For a true lama, to teach is to live, to laugh, and to love. For the enlightened masters of the crazy wisdom lineage, tears are ambrosia, dung is fertilizer in the garden of spiritual experience... Everything is perfect. We may feel far from perfection, yet perfection is never far from us. Tales from the heart enter the heart -- opening the heart of compassion, while simultaneously illumining the mind. It is with such a perspective that this smorgasbord of Himalayan delicacies -- sifted, essentialized and refined from the veritable mine of oral gold spoken by the grand old lamas of the Tibetan Buddhist tradition--is respectfully offered. May realize limitless freedom and enlightenment. <[email protected]>. (Page Maintained by <[email protected] >).